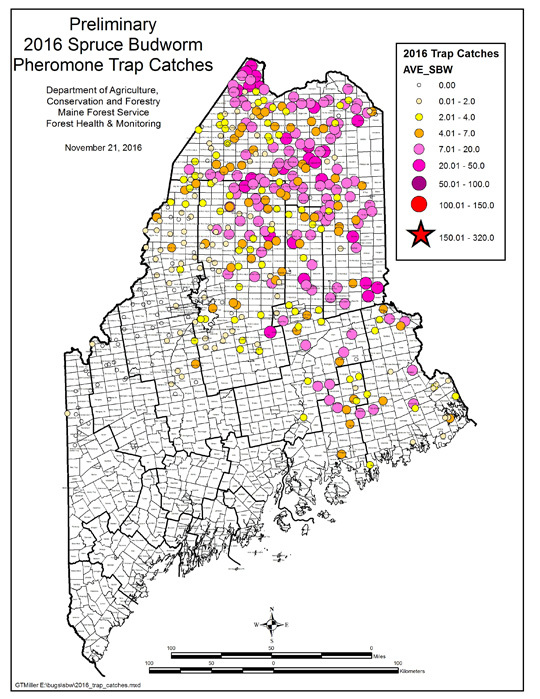 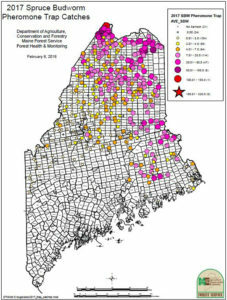 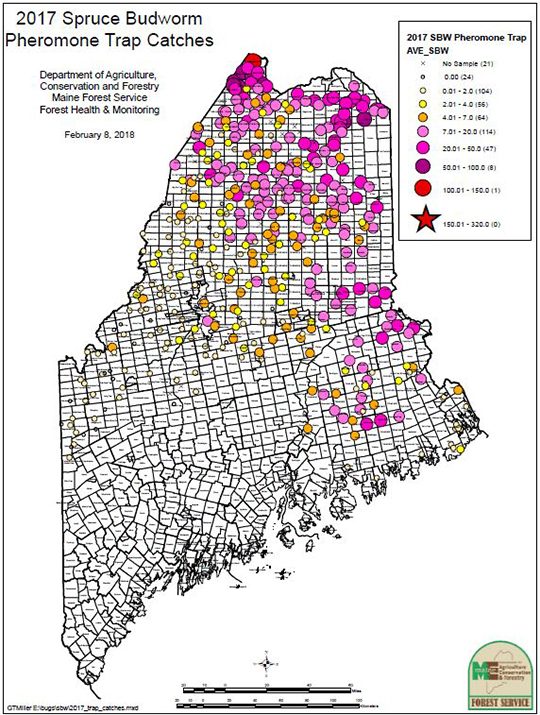 Pheromone traps set strategically throughout Maine during the moth flight season (June-August) are designed to lure, trap and kill budworms. 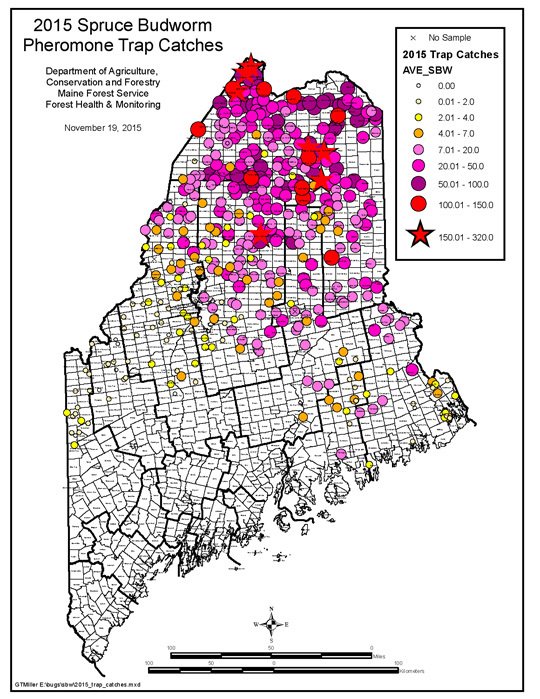 The traps are collected in late August and turned into the Maine Forest Service for evaluation of SBW populations. 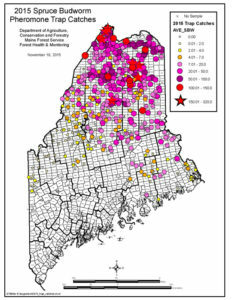 The MFS produces the following maps based on those trap collections.